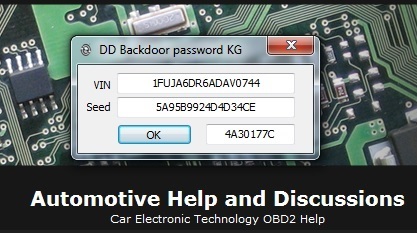 Detroit Diesel Backdoor Password DDDL Free for all active members! Re: Detroit Diesel Backdoor Password DDDL Free for all active members! Trying get seed, negative response. Need help, Please. Sorry, lost my communication and seed. Need your help again. Thank you.